Pupil November 1801 - 1804. 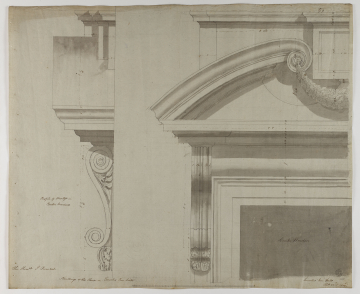 The console of the first-floor central window is less ornate than the consoles of the door surround (drawing ) but still incorporates acanthus leaves. The frieze appears from the shading to be pulvinated (convex or cushion-like). The voluted ends of the segmental pediment are linked by a swag.